Illinois State Police Director, Leo Schmitz, is seen here with (from l-r) Representative Avery Bourne (R-Raymond), Representative C.D. Davidsmeyer (R-Jacksonville), and Senator Sam McCann (R-Carlinville). 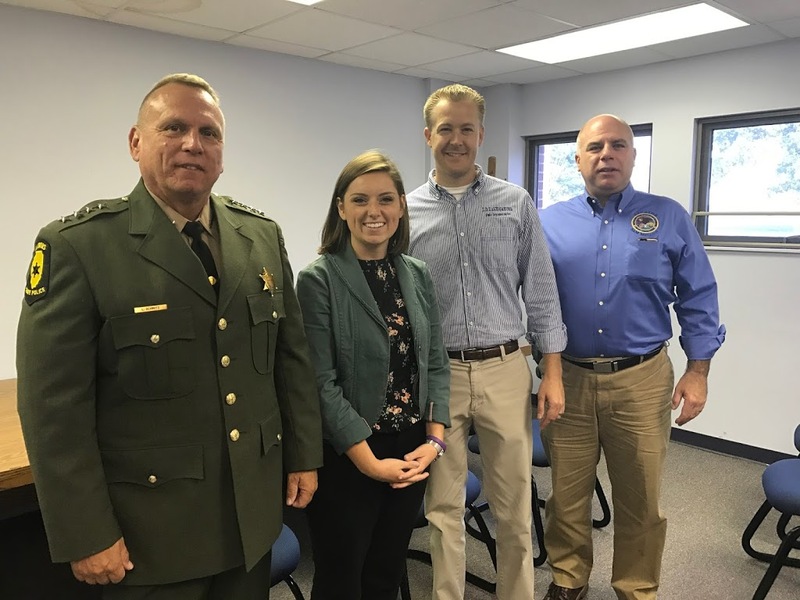 The Legislators met with Director Schmitz, Illinois State Police Officers, Sheriffs, and Chiefs of Police at District #18 ISP Headquarters in Litchfield. They thanked the law enforcement professionals, listened to their concerns, and discussed proposed legislation to keep our communities safe.